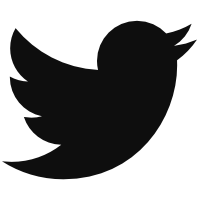 Today, I’ve published a pair of posts in which I attempt to estimate the present-day value of prospects, both in terms of WAR and dollars. With that work complete, the logical next step is to turn away from the value of specific prospects and towards farm systems as a whole. One can get a sense of the stronger and weaker systems just by eyeballing the rankings produced by Eric Longenhagen and Kiley McDaniel. What the prospect-valuation data allows us to do, however, is to place a figure on baseball’s top-800 or so prospects, creating a more objective ranking based on the grades assessed to each player here at FanGraphs. Keep in mind, these values are based on the current CBA, where players receive a minimum salary for roughly three years and then have three (or four) years of arbitration before reaching free agency after six full MLB seasons. Players are generally underpaid compared to their value on the field during these seasons, which is what creates the high present-day values and partially justifies the high value placed by teams on prospects when executing trades. These values are also based on an approximate $9 million per WAR that MLB teams pay players in free agency. The actual cost per win when all players are considered is closer to half that figure. Prior to free agency, however, salaries are artificially depressed, so comparing value when players are freely available to all teams provides a better benchmark for determining actual value. The overall dollar-per-win mark varies depending on the study, so my own estimate might be considered too high or low. Teams have different budgets that requires different valuations on a team-by-team basis, but looking at a figure close to the overall average allows for good comparisons — not only with the farm systems below, but with comparing value in potential trades, like this one with J.T. Realmuto, or in actual trades like the one involving Chris Archer last season. The table below indicates the number of players each team has at each grade level from 40 (where there are nearly 500 players) all the way up to 70, where Vlad Guerrero Jr. sits all alone. The individual values for all of these players are then added up to provide one single total. The Padres have amassed a large number of prospects at nearly every grade level and feature an incredible amount of depth. When looking at that 50.9 WAR, consider this thought experiment: would you rather have the current Cleveland roster for 2019 with every player becoming a free agent at the end of next season or would you rather have the Padres farm system? If you choose the major-league team, you essentially end up with an expansion team in 2020 without the benefit of an expansion draft, and you likely end up terrible for years. Choose the latter and you presumably have a bright future, though the outlook for 2019 isn’t so good. Maybe it is an easy choice given the opportunity to win this season, but it’s a hypothetical for purposes of assessing value without real-world constraints. It’s worth noting that the Blue Jays would be more middle of the road than top-five if Vlad Jr. had been called up at the All-Star break. If the Braves hadn’t called up Ronald Acuña, they would have the best farm system in baseball right now. They’d also have won fewer games and maybe missed the playoffs. Winning games and making the playoffs is more important than farm-system rankings, and the latter doesn’t account for young players in the majors or the overall health and strength of a farm system. That said, Boston and Seattle look pretty barren when it comes to prospects. For a look at all of the individual prospects, look to THE BOARD and the FanGraphs Prospects page. 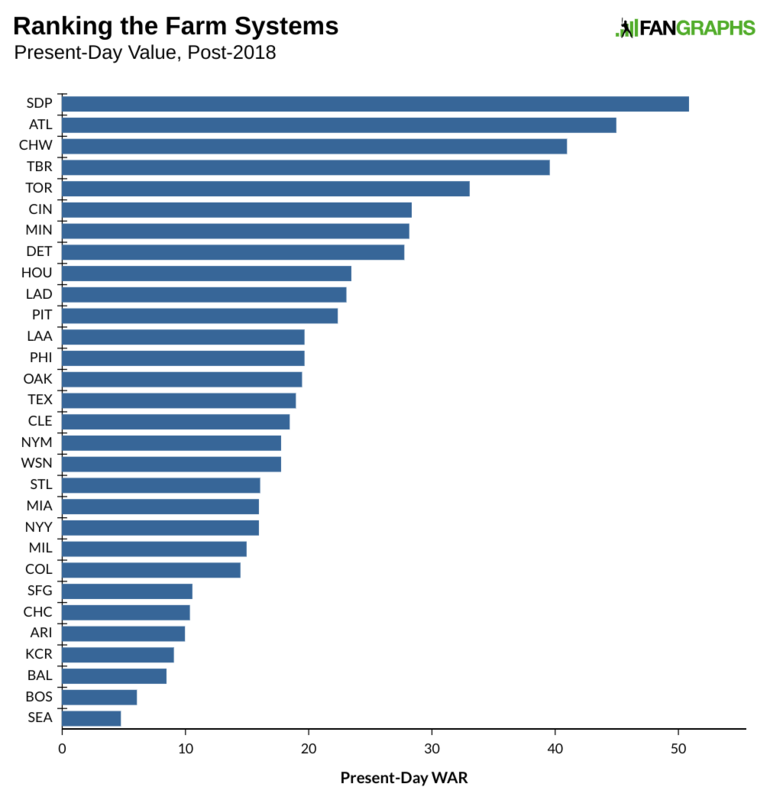 For those more visually inclined, here are the farm rankings by WAR in graph form. And here are those same rankings in terms of free-agent dollars. 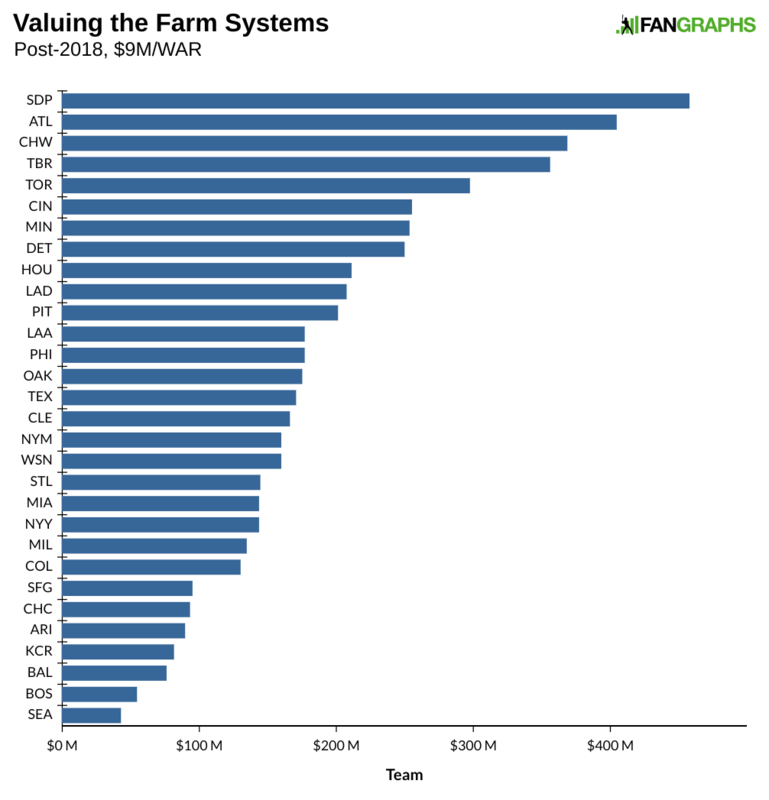 We hoped you liked reading Post-2018 Farm System Rankings by Craig Edwards! The prospect content today has been fantastic. Thank you!